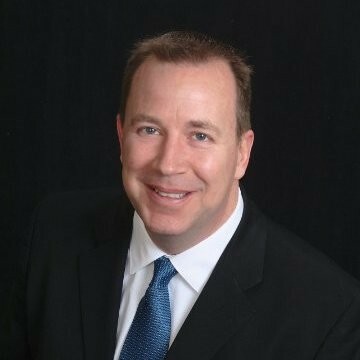 Jeff Martin, CFM is a workplace change management consultant for Wells Fargo, helping the financial organization effectively manage Workplace change for team members across its global network of 230,000-plus people. In between focus groups, educational sessions and team video conferences, Jeff took a moment to talk with us about the future of work, his ideas, and Wells Fargo’s approach. Your LinkedIn bio starts with this statement: “Technology and employee flexibility are driving a transformation in how, when and where we work.” In your words, what will this transformation look like? What’s remarkable is how fast technology has advanced over the last decade. So many of the workplace possibilities we have available to us today – whether it is hoteling, work-from-home, enhanced mobility, etc. – they’ve really all been fueled by new tools like video conferencing, high-speed internet, mobile devices with 24/7 connectivity, the ability to access company networks safely off-site, the list goes on. These tools have reshaped how individuals and teams can work. We aren’t tethered to our desks, or even the office, anymore. Technology fuels work everywhere, anytime. This translates to an individual being able to have a great relationship with their manager and connect with different leaders and locations each day without ever sitting in the same physical room as them. This level of efficiency and communication is incredible, and it wasn’t possible 10 to 15 years ago. Most all companies have the ability to introduce these technology resources. Often, the harder part is then driving the culture change that needs to follow. Staff needs to understand how to leverage the technologies, they need to be empowered to rely on them to work from home or in different parts of the office during a given day. Companies that balance technology investment and effective change management will best navigate the transformation in how we do and can work. So what are the keys to ensuring that culture change occurs to maximize these resources and opportunities? When companies introduce hoteling or free-address workplace policies, they need to work very hard to make sure people understand the benefits of driving the change and then feel comfortable relying on these new policies. It’s common for people to be wary of the change. They feel like they need a “home base.” They like coming to a space that is exactly as they left it the night before. It translates to comfort and convenience. That said, I actually conducted a number of focus groups last week and I left convinced that employees are more ready for a shared work environment than leaders expect them to be. They have concerns about comfort and convenience, but if you can demonstrate how hoteling or free-address workplace solutions can still accommodate these needs, then even the people who resist change can usually realize the benefits for them and the company. At Wells Fargo, our current solution equips some people with assigned space and some without based on their respective needs. We’re constantly studying data, gathering feedback and tweaking our approach. Over time, we’ve seen that most team members have some level of mobility – they travel for work, leverage PTO, engage in work-from-home policies. Team members with a high level of mobility tend to respond the best initially to the idea of using shared space. How are you making decisions about which employees have assigned seats and which don’t? All of our decision-making is rooted in data. So, here again, new technology is making a big difference in how we leverage the workplace. We rely on badging to understand space utilization and determine the level of mobility of a group or team. It’s not so much that we look at individuals and make singular decisions. We look at groups and we seek trends. What are the busiest days of the week? What’s a typical Tuesday-Thursday when it comes to space allocation and ratios? We can use this data to make decisions about which teams need more seats and where we can reallocate space to other groups. You’ve worked in different industries throughout your career. Do you see differences in how people work, or how responsive they are to work-transformation from one industry to the next? I really don’t see major differences. At a previous company, we went through a process of introducing casual spaces, game rooms and activity-based work environments. We made changes and faced many of the same challenges non-technology companies face. We introduced new environments but we still required effective change management to encourage behavior and culture change. At another company, we launched and managed a telework program where employees gave up their assigned space in exchange for the flexibility to work from home. I think this made space transformation easier for us. People were able to understand, okay, I’m losing my assigned seat in the office, but I’m gaining the ability to work at home. It’s sometimes easier to advance change when there is a clear give and take. No matter the industry, when you ask people what they need to do their jobs, they rarely list an assigned space. They’ll say a phone, a monitor, keyboard, a stapler, etc., but they assume they should have their own assigned space. They don’t see space as a resource in the same way as their technology tools. I think helping people understand space as a resource is a key way to make workplace evolution easier for every company. We saw data that Wells Fargo has 230,000-plus global employees. How do you manage and drive change for an organization that large? It’s all about committing to process and adaptability. When we launched the workplace change program, we established a variety of tools and processes that ensured change management education, the development of key resources, and training programs to help streamline the process. You have to commit to that process and reinforce the availability of these resources on a regular basis. In an organization this large, it’s very possible I may be talking about workplace concepts every day, but there are still folks that have not heard the term in some of our locations. I think one great thing about Wells Fargo’s approach is when we established the program a couple years back, we didn’t draw a line in the sand and say, “We’re good” or “This is it.” As we move forward, we’re studying data, we’re listening to our people, we’re evolving our standards along with the company culture and organizational goals. This is how you move change forward.